Baitcasting is a form of angling that presents both a challenge and great rewards. To give yourself the best chance at success with this somewhat complex style, it’s important to have a solid foundation in the form of a superb rod. If you’re not sure where to start, this article will walk you through some of our favorite potential picks on the market. Like all saltwater gear, your reel should be made for use in and around the ocean. Because the combination of salt, moisture, and oxygen can have damaging effects on metal, it is extremely important that your rod is made with materials that resist corrosion. If you’re planning on surf fishing or fishing from a pier, the length of your rod is very important. Because you’ll need to cast longer distances, a rod roughly 8-10 feet in length is ideal—make sure you match your reel size accordingly. Giving careful consideration to the drag system of a reel in a rod/reel combo is especially important when it comes to ocean fishing. Currents, rough surf, and tumultuous weather require more control, which a great drag system can provide. Abu Garcia released their first reel in 1941; ever since, this Swedish company has been considered a leader among reel producers in the angling world. When the Revo line was released in 2006, it received high praise for its compact, intentional design. A large part of the tool’s popularity comes from its 10:1:1 gear ratio. In 2013 the Revo designs, including the Rocket, went through a redesign to make them even more compact and lightweight than before. The Rocket reel is made with Abu Garcia’s patented “X2-Craftic” alloy material in the frame and side plates. The reel features the company’s “Power Stack Carbon Matrix Drag System,” which definitely packs a punch. Other technologies featured in the reel include an “Infini” brake system and spool, a lube port, and a “Gull Wing” side plate design. Each Rocket reel comes in rocket red, skipping the glossy color many companies opt for and going for a stylish smooth matte finish. With a comprehensive design created with intention, the Abu Garcia Rocket Reel’s popularity among anglers is well-deserved. This reel won’t weigh your rod down, and it has some great features, including a powerful drag and braking system. Keep in mind, this reel is a little prone to backlash, so if you’re new to baitcasters, be prepared for a learning process. KastKing is a popular sporting goods company that many anglers know and love. They are committed to making high-quality products at an affordable price. Among their wide range of reel lines, the Spartacus Plus is one that is recognized for its power and effective casting abilities. The Spartacus Plus features KastKing’s specialty six pin centrifugal system and magnetic braking system. It has a quick 6:3:1 gear ratio, and features 11 + 1 ball bearing system. The ball bearings are also sealed and corrosion-resistant, an added bonus for saltwater fishing. The drag system is carbon fiber and allows for 17.5 pounds of power, which also includes an instant stop anti-reverse. The Spartacus Plus is created with durable, saltwater-suited materials, including a CNC aluminum spool and specialty brass gears. Other features include an easy to load spool, 3.74-inch comfortable cork handles, and sizable line capacity. The Spartacus Plus for KastKing is a thoughtfully created reel that comes at an incredible price. While there are a couple of issues that can come about with some of the internal systems, overall, the value of the product outweighs the cons. It’s a super comfortable reel that won’t tire your wrists throughout a fishing trip; it’s compact and lightweight, and effective. All Daiwa reels are manufactured in accordance with the company’s primary values: innovation, challenge, and originality. The Coastal TWS line is no different. This recent line’s release was highly anticipated in the angling community. Daiwa’s main goal in crafting the Coastal TWS T-Wing was a long-casting system that would allow for distance casting with ease. The reel features eight ball bearings that are corrosion resistant and sealed for use in saltwater. With a gear ratio of 7:3:1, the Coastal offers a quick retrieve. 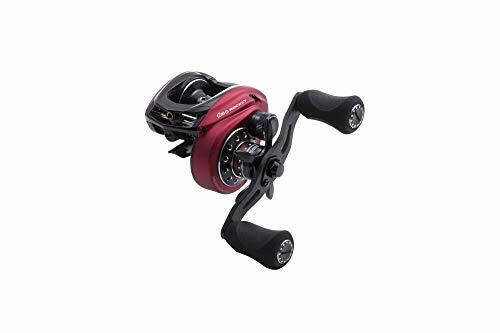 The drag system incorporated in this reel is Daiwa’s “Ultimate Tournament Drag,” which offers up to 15.4 pounds of power. The design is created with A7075 aircraft grade aluminum for maximum strength and durability. Unique to this release, the Coastal reel offers more line capacity than the Daiwa reels that came before. It also features a “T-Wing” system that was created in hopes of reducing line friction. Other features include EVA foam handles and Magforce cast control. Overall, Daiwa’s Coastal TWS reel is one that packs a major punch against big fish. With a great retrieval speed, advanced drag, and casting technology, this reel is a great choice for anglers of all skill levels and preferences. While you might have to re-lubricate the reel before using it, once it is set up, you can cast a mile with ease. Another product from the Swedish company Abu Garcia, their Black Max reel is also praised for its lightweight, compact frame. The Black Max is created with a construction that was meant to last for years. 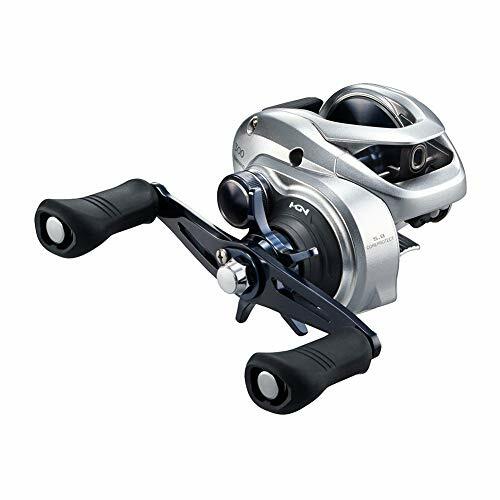 With a one-piece design crafted with a full graphite body and side plates, it keeps the reel light and sleek. It includes an aluminum spool. Abu Garcia designed the Black Max with the user’s comfort and needs in mind. It features an ergonomic design that makes it comfortable to use for an all-day fishing trip. Furthermore, it weighs less than a pound and its handles are slightly bent for extra wrist support. This model comes fitted with four stainless steel ball bearings and durable brass gears. 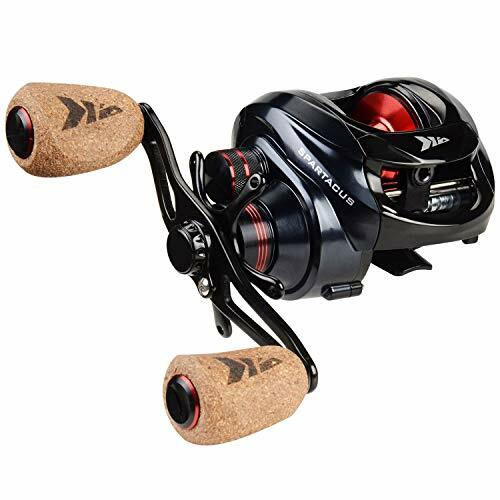 The reel features Abu Garcia’s “Power Disk” drag system as well as their innovative “MagTrax” brake system. The MagTrax system was created to apply steady pressure during a cast and retrieval to minimize the risk of losing a fish. For bait cast-enthusiasts who are on a budget, look no further. This Abu Garcia reel is an incredible deal. While there is a little bit of a learning curve (as there is with most baitcasting reels), if you have the time to practice, the Black Max reel has the potential to bring you a great deal of fishing success. It checks all the major boxes in quality, construction, and design, and it sells for a very reasonable price. 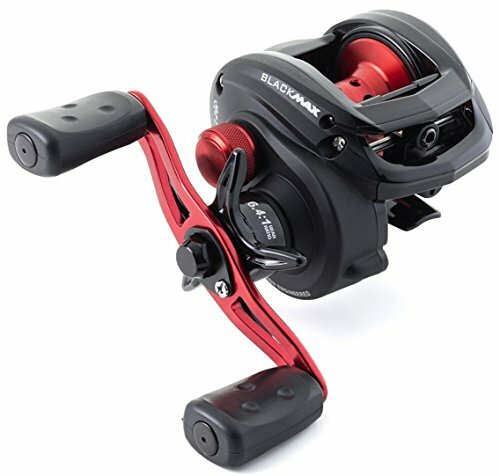 Shimano’s Tranx line of reels has been a popular selection of products for quite some time. The company expanded the line in 2017 to include more sizes and functionalities. All the reels in this line are recognized for their heavy-duty, yet lightweight, low profile designs. 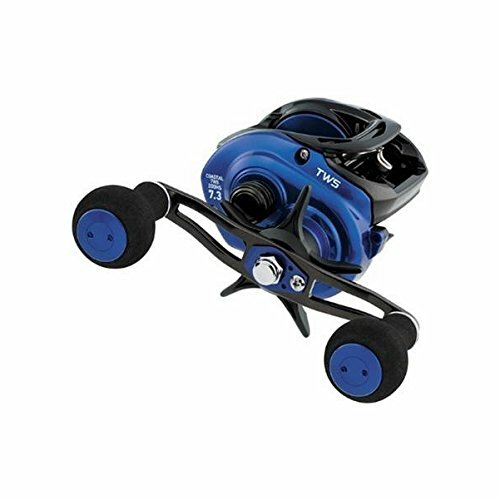 The Tranx reels are suitable for use in both saltwater and freshwater. They’re created with a body made of “Hagane,” a metal material that resists flex during use. It’s fairly lightweight, provides a great balance to a rod, and won’t tire your wrists out after a day of use. They also feature Shimano’s renowned oversized HEG gearing, which consists of a 3D modeling process to create specialty made gears that can provide an incredibly smooth retrieve. The Tranx reels have a 5 + 1 ball bearing system, sealed to prevent the likelihood of salt or debris destruction or a chance at corrosion. In addition, the reels include the company’s Cross Carbon drag system, a carbon fiber drag system that allows for 22 pounds of power. They also have a variable braking system, which utilizes centrifugal force and magnets. Don’t let the price of the Tranx reels make you shy away from purchasing; this line is high-quality, easy to use, and includes some great features that you don’t want to miss. This is a great pick for anglers who need a more lightweight reel choice that doesn’t compromise power. Cheap baitcasters are readily available, but many are made with low-quality material that isn’t worth the price. Making an investment by purchasing a quality rod can make all the difference in your angling success. Purchasing a baitcasting rod at a slightly higher price point will often mean a dramatic improvement in quality from those that are very cheap. A rod crafted with durable, high-quality materials will perform for years longer than cheaper counterparts. There’s nothing more frustrating than spending money on a product only to have it fail after a few uses. The most important aspect of a rod is its performance on the water, and high-quality materials almost always contribute positively to that. Products that are held to a higher standard have usually been performance tested by professionals, which means you can have more confidence in where your money is spent. Although baitcasting is a challenge, that extra effort makes the catches so much more rewarding. With a quality rod in your hands, the process of fishing will become easier and easier with time. Even if you opt for a rod that wasn’t mentioned in this article, keep your standards high and your results will benefit. Happy fishing!